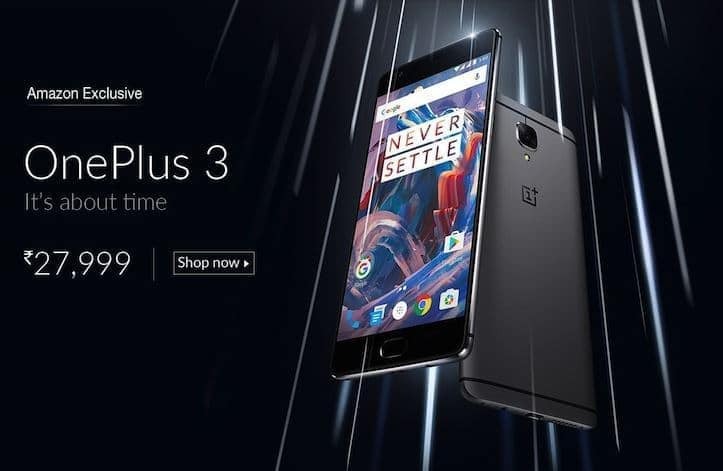 While the Loop app is counting down for the special launch to unveil OnePlus 3, Amazon and Hindustan times earlier today jumped the gun and broke all the efforts of OnePlus to build the suspense. We have already covered what Hindustan Times advertisement showcased on OnePlus 3 and now it’s time to see what Amazon India leaked. Recommended: OnePlus 3 Vs OnePlus 2 Vs OnePlus One – Which is the best? Here’s all you need to know to stop biting your nails ahead of OnePlus 3 launch. The OnePlus 3 is going to run a top-class Snapdragon 820 processor with a 6GB RAM. 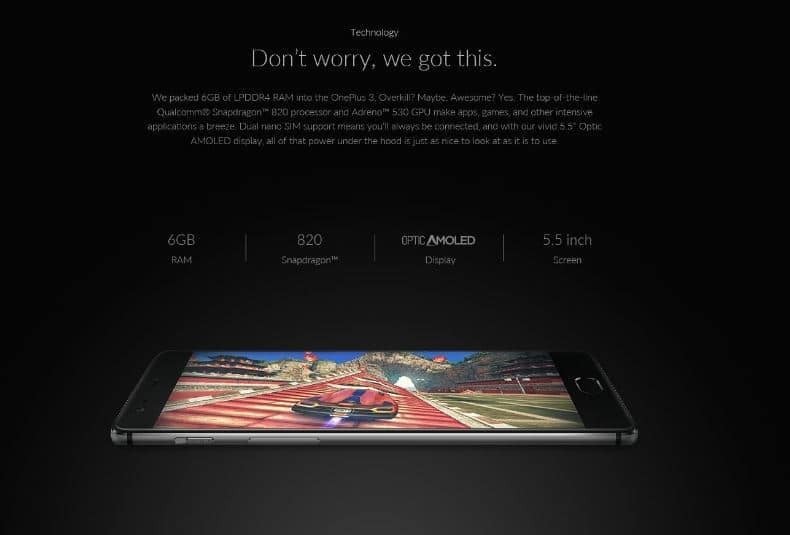 The processor should make it 35% faster that OnePlus 2 consuming much lesser power. As guessed, it does come with an internal 64 GB non-extendable storage and is installed with Oxygen OS running on Android Marshmallow 6.0.1. It would be armed with Gorilla Glass 4 and comes with a 5.5 inch Full HD 1920 X 1080p Optic AMOLED display with 401 ppi. It also looks sleek with an anodized aluminum body, yes you read that right and it is confirmed. So it is “Goodbye, Sandstone”. The phone weighs 158gm and measures 152.7 x 74.7 x 7.35mm and is going to come in two color options: Graphite and Soft gold. The rear camera is going to be a 16MP with Sony IMX298, f2.0 aperture, and an 8MP Sony IMX179 front camera. The rear snapper also comes with PDAF, LED flash, and 4K recording. The selfies must be improved with noise reduction and electronic image stabilization. 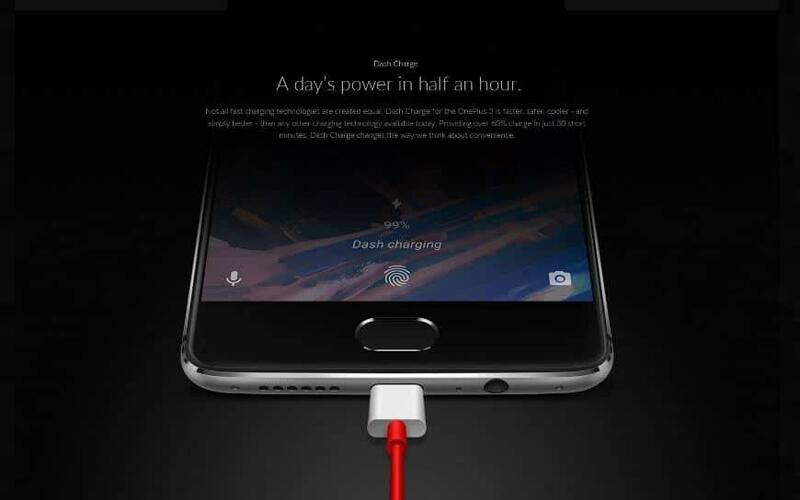 Thankfully, it comes with NFC and Fast charging technology – places where OnePlus 2 miserably failed. The charging port is a USB 2.0 Type-C with ‘Dash Charge’, a fast –charging technology(5V at 4A or 20W) which should charge the 3000 mAh battery to 60% in roughly about half an hour. The phone also comes with a fingerprint sensor, dual nano SIM and a better and improved bloat-free version of Oxygen OS. It also would come with an alert slider, which would let you toggle between normal, priority and no alert options. The phone is going to be invite-free and sold exclusively on Amazon and would be priced at Rs 27999. Although there isn’t much that you should be waiting, for now, do tune into the Loop for the glamor of the official launch. Next articleOnePlus 3 Vs OnePlus 2 Vs OnePlus One – Which is the Best of the Beasts?